For some families, it never quite ranks high enough – and it never becomes the priority it should become. Assorted financial pressures and sudden shifts in household needs can all move “saving and investing” down the list. Even so, young families have planned to build and invest in the face of such stresses. You can too. This is good, but also vague. Are you on pace to build a retirement nest egg that large? How much risk do you feel comfortable tolerating as you invest? What kind of impact are investment fees and taxes having on your efforts? A financial professional can help you arrive at answers to these questions, and others. He or she can help you define long-range retirement savings goals and project the amount of savings and income you may need to sustain your lifestyle as retirees. At that point, “the future” will seem more tangible and your wealth-building effort even more purposeful. Second, start today & don’t ever stop. If you have already started, congratulations! In getting an early start, you have taken advantage of a young investor’s greatest financial asset: time. If you haven’t started saving and investing, you can do so now. It doesn’t take a huge lump sum to begin. Even if you defer $100 worth of salary into a retirement plan a month, you are putting a foot forward. If you begin when you are young and keep at it, you will witness the power of compounding as you build your retirement savings and net worth through the years. An example: let’s say you save $100 per month in an investment account for 20 years and the account returns a (hypothetical) 5% for you over those two decades. In 20 years under such conditions, your $100-a-month nest egg will not amount to $24,000 – it will work out to $41,011, which is 71% more! If you put in $200 a month, you wind up with a projected $82,022 off of the $48,000 in contributions! Ownership of equity investments, real property, business or professional success –can all help to position you and your family for a comfortable future, provided you keep good financial habits along the way and pay attention to taxes. Bottom line, you have to find money to save and invest for your family’s near-term and long-term goals. If it isn’t on hand, you may find it by reducing certain household costs. Are you spending a lot of money on goods and services you want rather than need? Is credit card debt siphoning away dollars you should assign to saving and investing? Other young families are doing it, and yours can as well. Vow to keep “paying yourself first” – maintain the consistency of your saving and investing effort. What is more important, saving for your child’s college education or buying those season tickets? It all starts with belief – the belief that you can do it. Complement that belief with a plan and regular saving and investing, and you may find yourself much better off much sooner than you think. 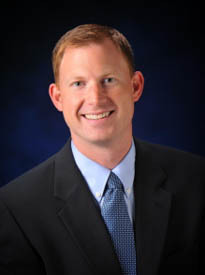 Sean Patton is a Certified Public Accountant with Cordell, Neher & Company, PLLC, a Wenatchee public accounting firm.